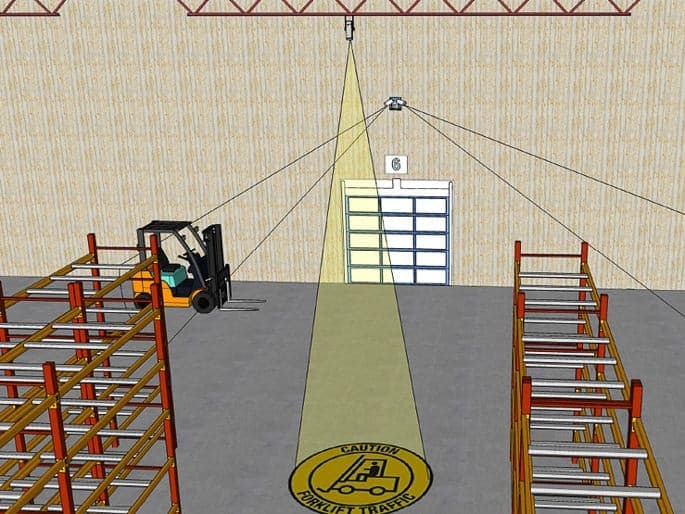 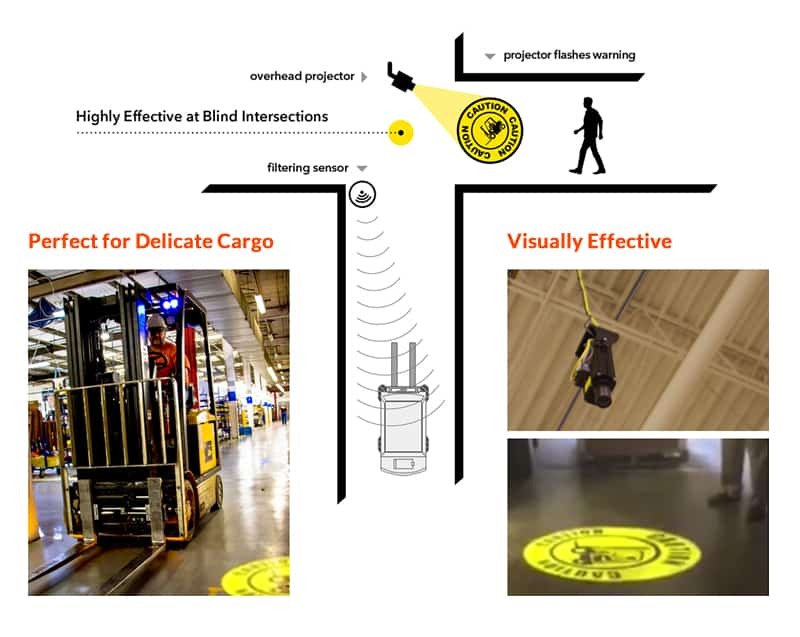 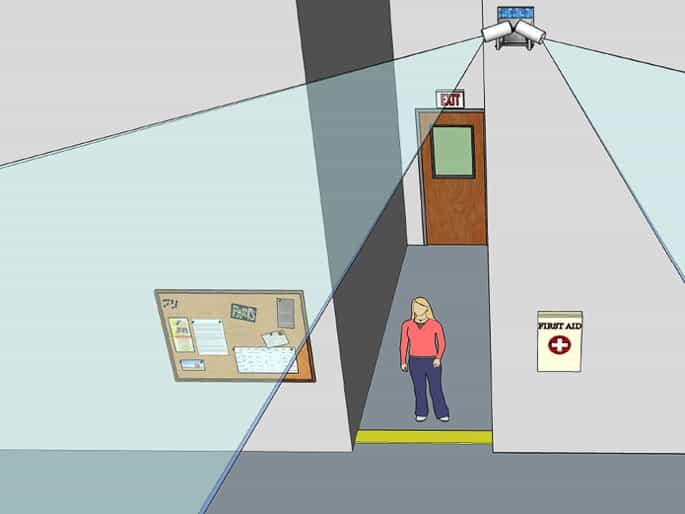 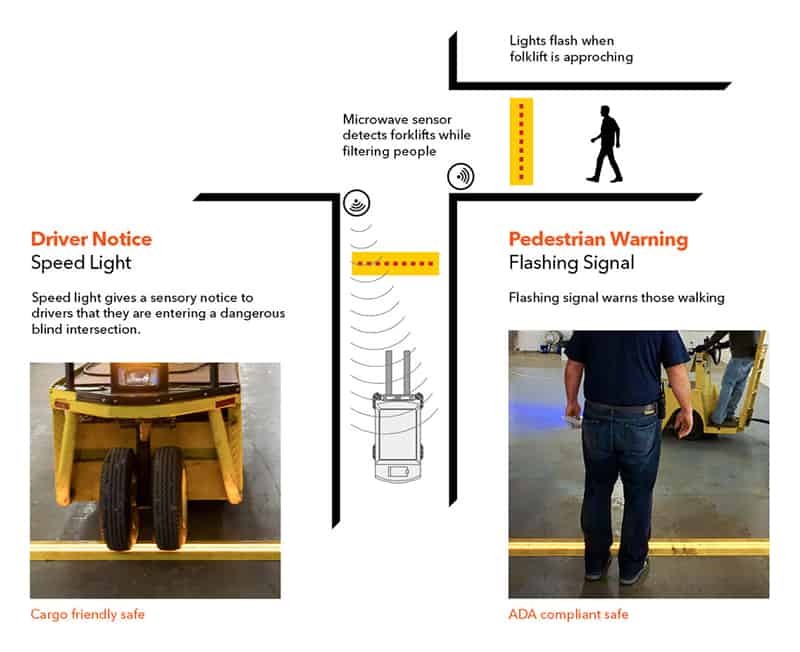 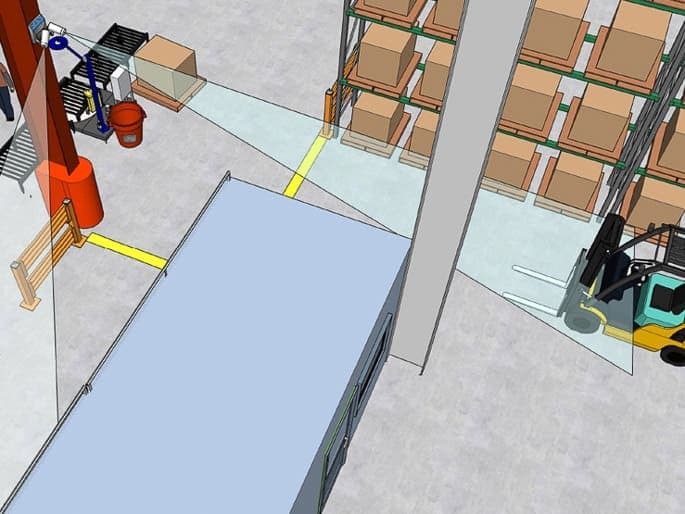 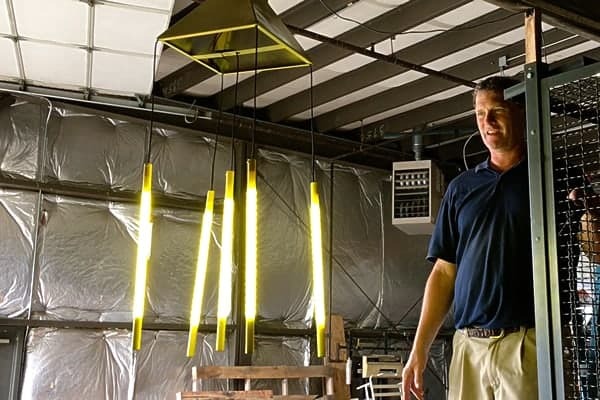 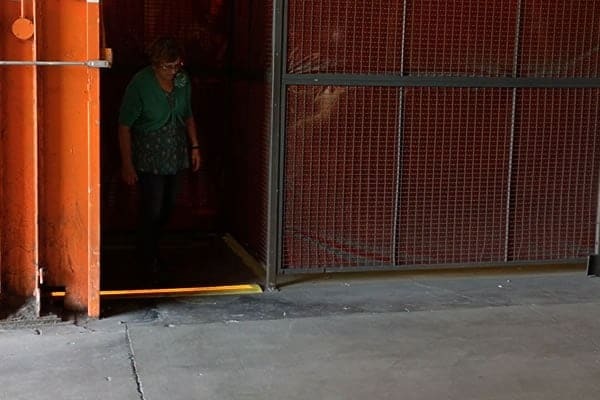 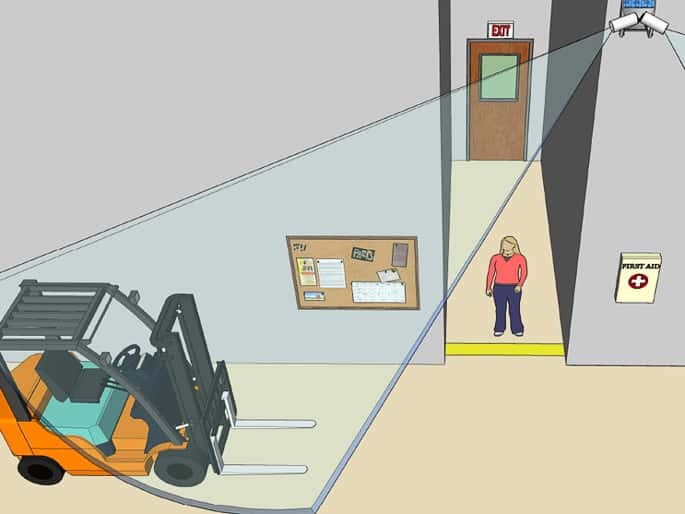 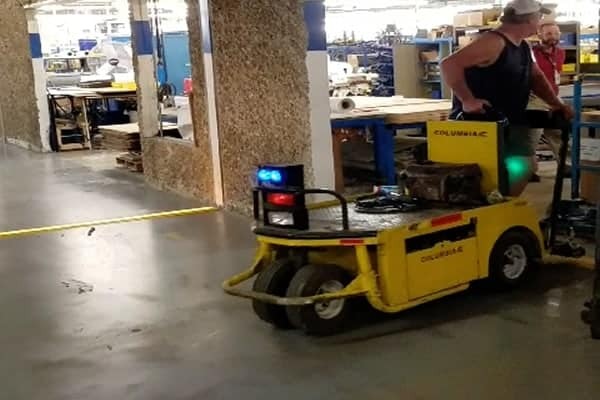 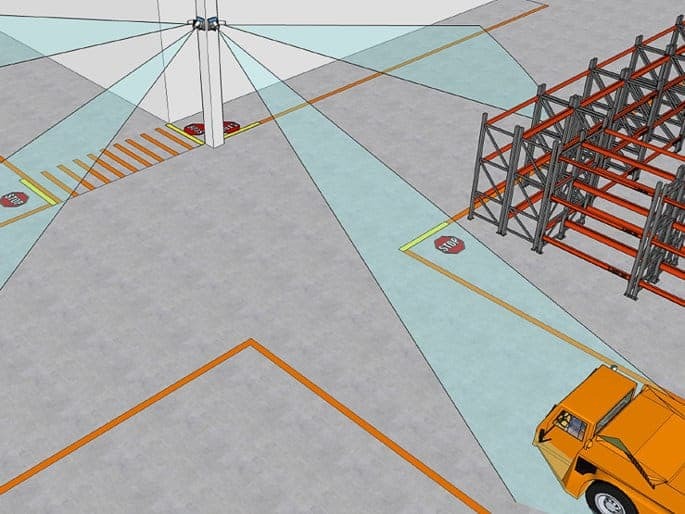 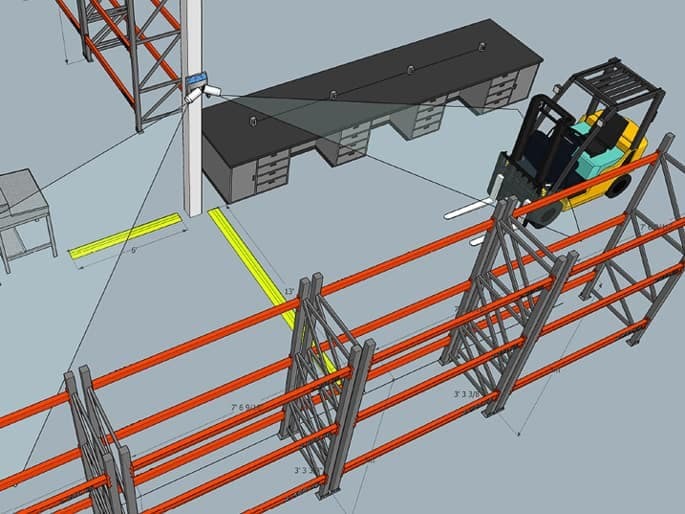 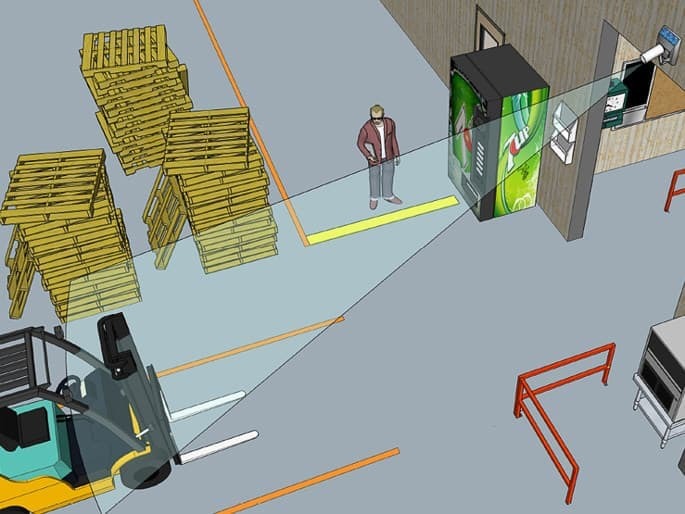 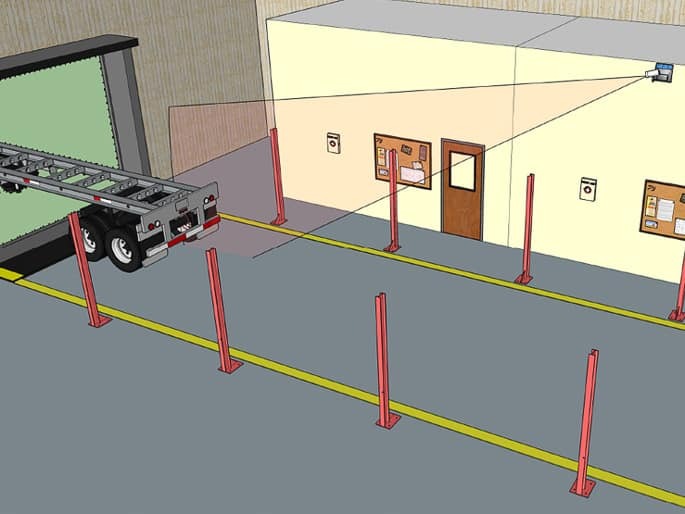 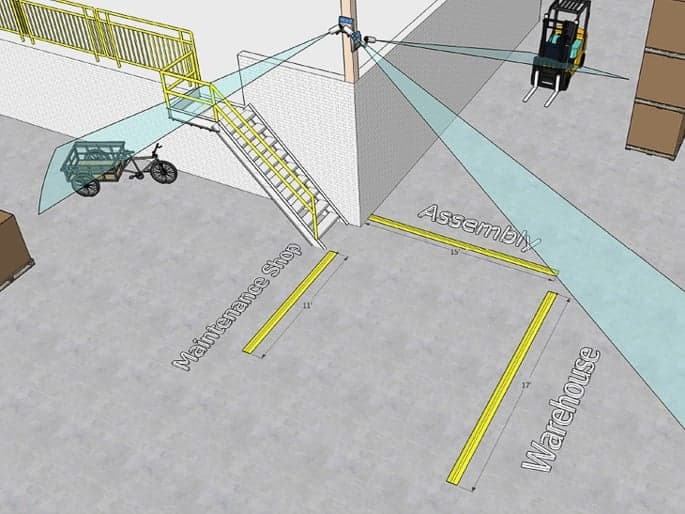 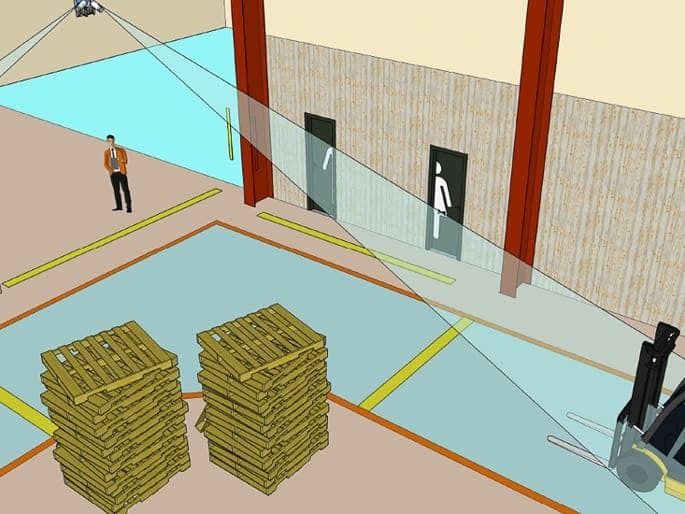 Microwave sensors will detect forklifts as they approach the crosswalk and flash LED’s in the Floor Strips to warn pedestrians and forklift drivers they are approaching a crosswalk. 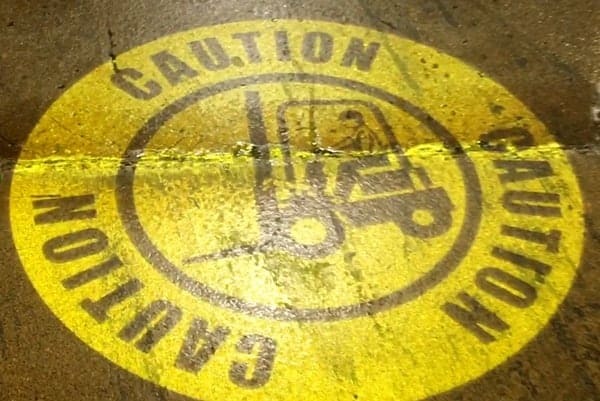 They will not activate on pedestrian traffic or forklift traffic that is leaving the area. 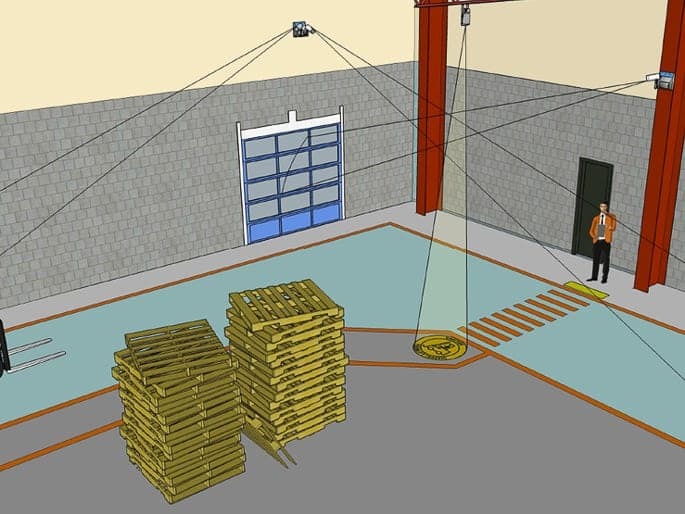 Microwave sensors have an adjustable range up to 60 with an approximate field width of 12’ at 50’. 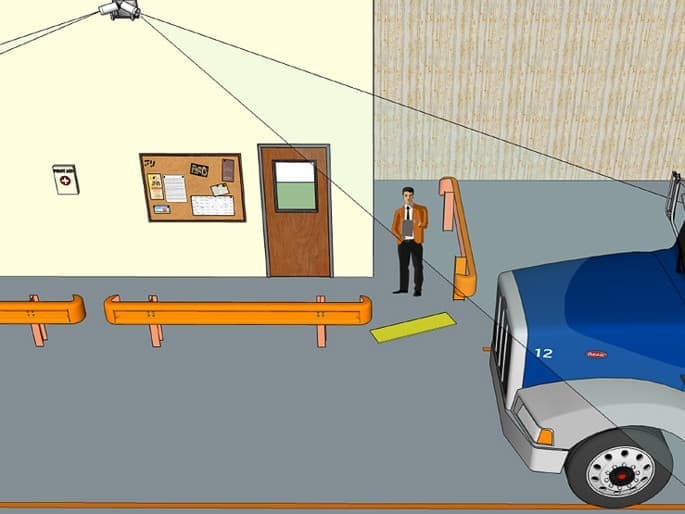 The sensors should be mounted 6’ above pedestrian traffic to avoid activating on pedestrians. 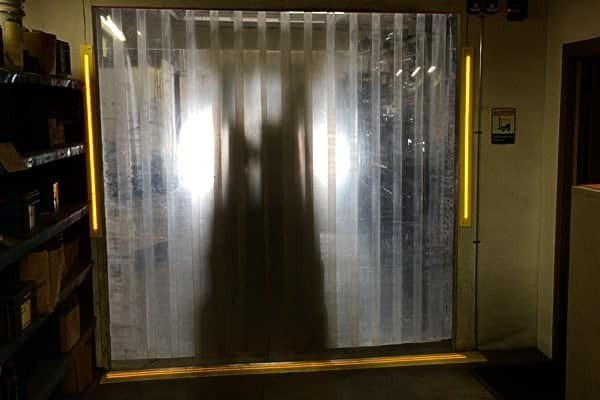 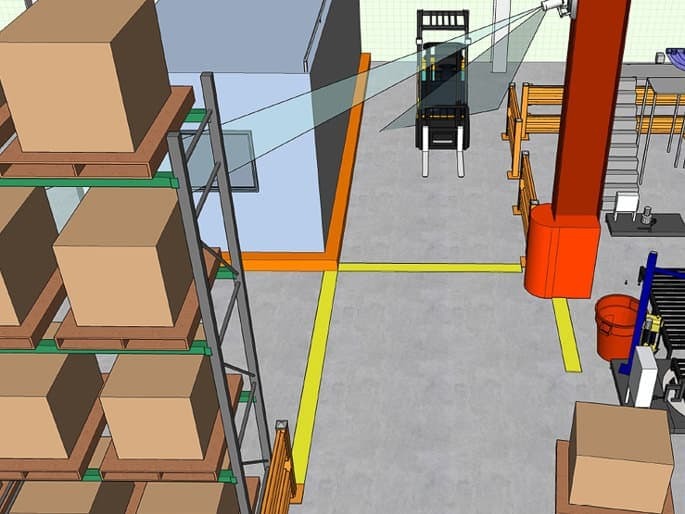 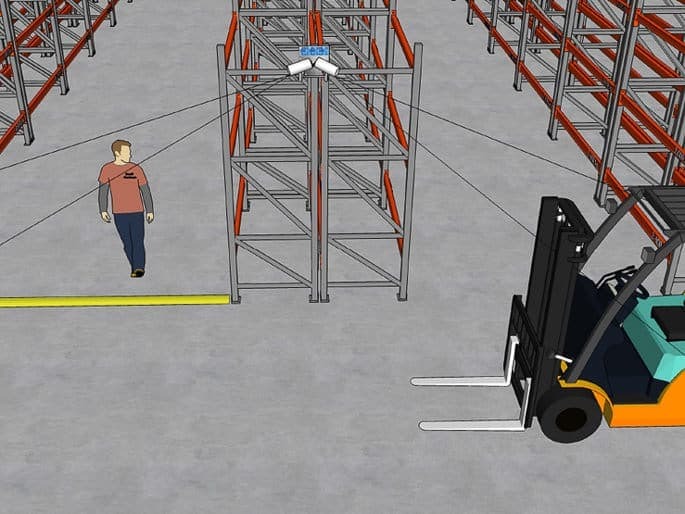 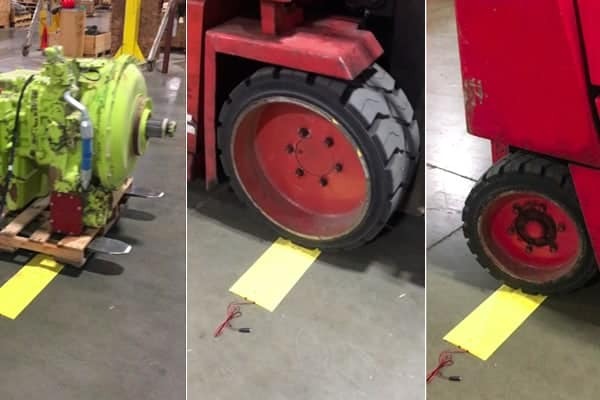 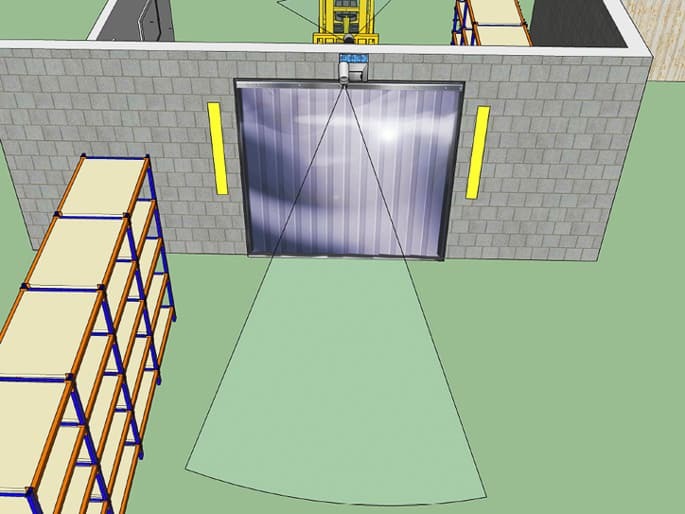 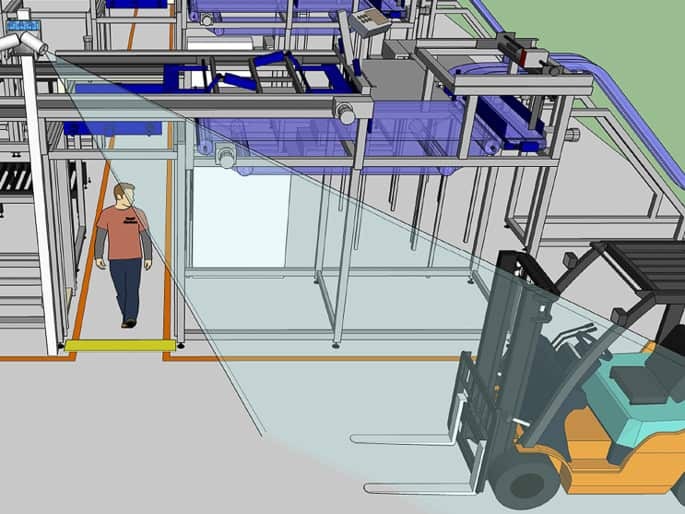 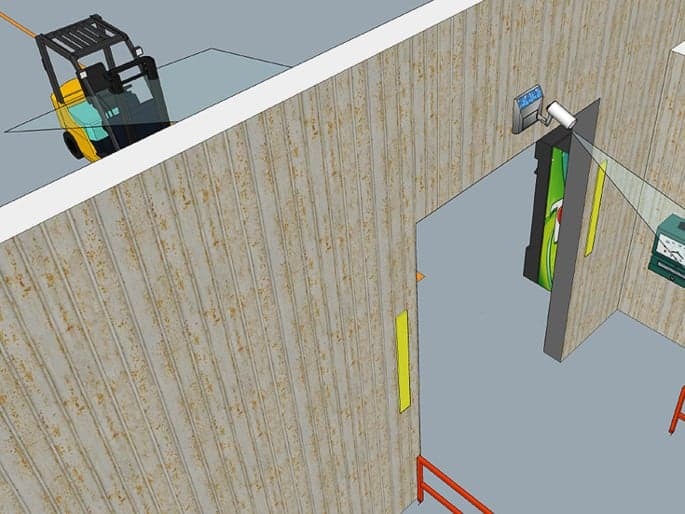 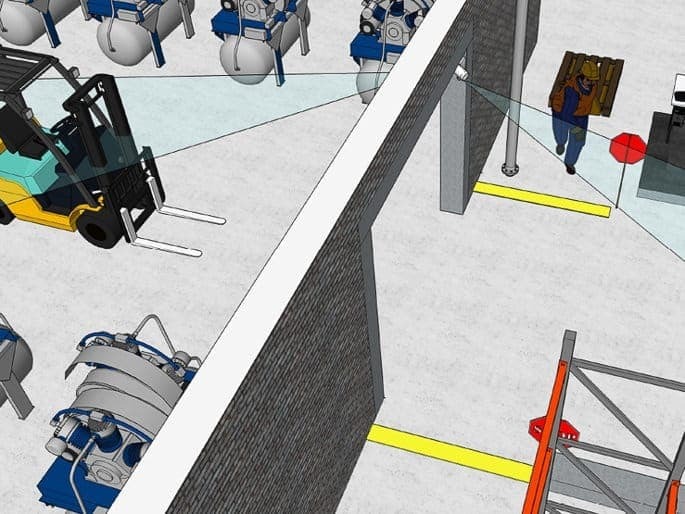 The system will time out and reset after a selected timeout period that allows enough time for the forklifts to exit the area (usually 4 to 6 seconds). 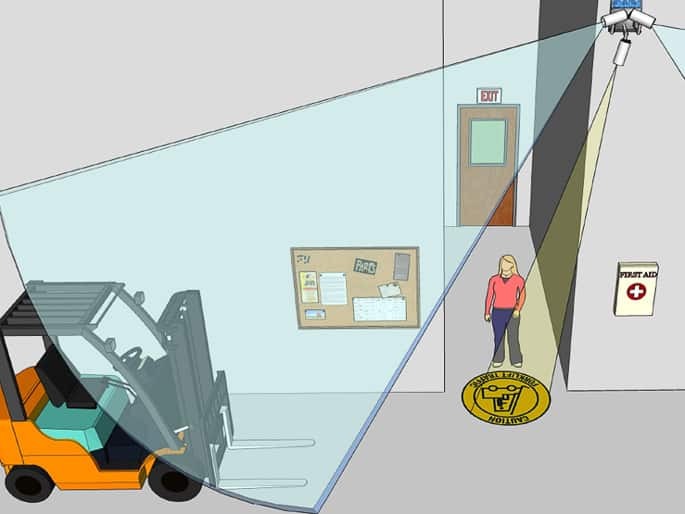 We recommend setting the sensor range so there is a 2 to 4 second advance warning before the forklifts pass the crosswalk. 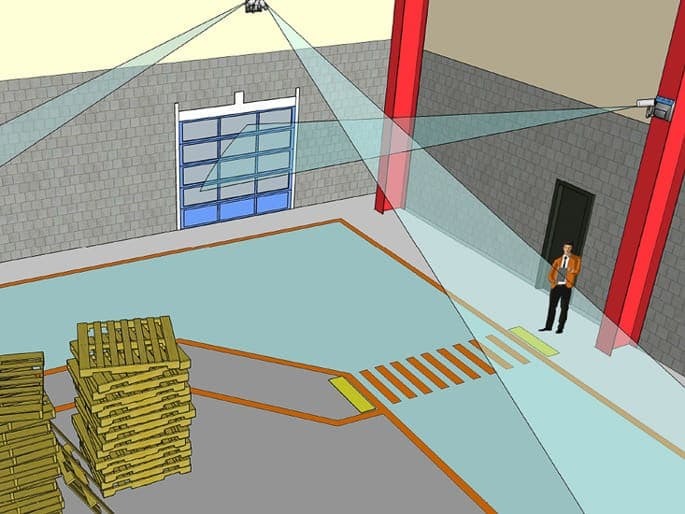 The system is low voltage powered by a 24VDC 70W switching power supply that is plugged into a 120VAC outlet located within 100’ of the sensor. 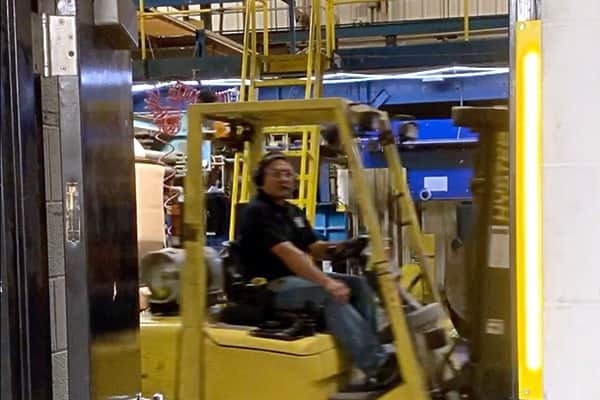 Copyright © 2019 Barefoot© and GoodToGo™ are trademarks of Beagle I Inc. All rights reserved.